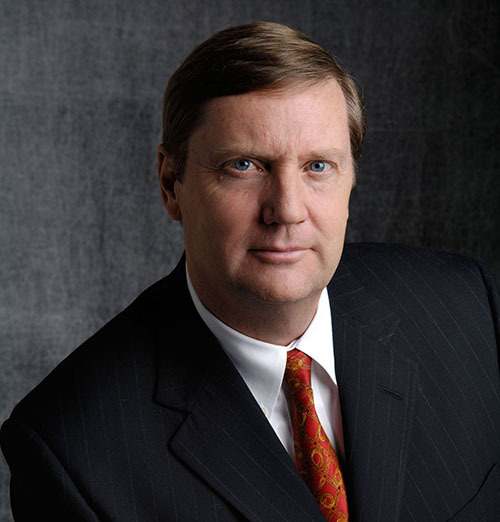 If you are not already doing so, it is time to take Millennials seriously. Does hearing the word “Millennial’’ cause you to roll your eyes to the top of your head? Do you physically cringe when you hear how the Millennial generation is handling its approach to adulthood? “Millennials’’ is the term assigned to the generation of people born after 1980. The generation previous to that was deemed Generation X, which was the generation that had the luck (or lack of luck) to follow the influential Baby Boomer generation. But a person born in 1981 is 36 years old today. That’s a full grown Millennial adult. And there are a lot of them with significant investable assets, and many of those want to get assistance from financial advisors in order to increase the size of their portfolio. According to Spectrem’s Affluent Market Insights study, the Ultra High Net Worth Millennials and Gen X investors with a net worth between $5 million and $25 million have a higher average net worth than the Baby Boomers or World War II investors in the same wealth segment. Likewise the Millennials and Gen Xers who are in the $25 million-plus net worth category. Advisors and providers who have ignored Millennials up to this point had a fairly arguable reason for doing so: Millennials had little interest in receiving financial and investment advice. But Spectrem’s newest study on the younger generations of investors – Millennial and Generation X Investors: Attracting the Next Generations of Wealth – shows that there is a growing interest among Millennials in acquiring financial and investment knowledge and advice. According to the study, 70 percent of Millennials currently use an advisor, but their use is limited. 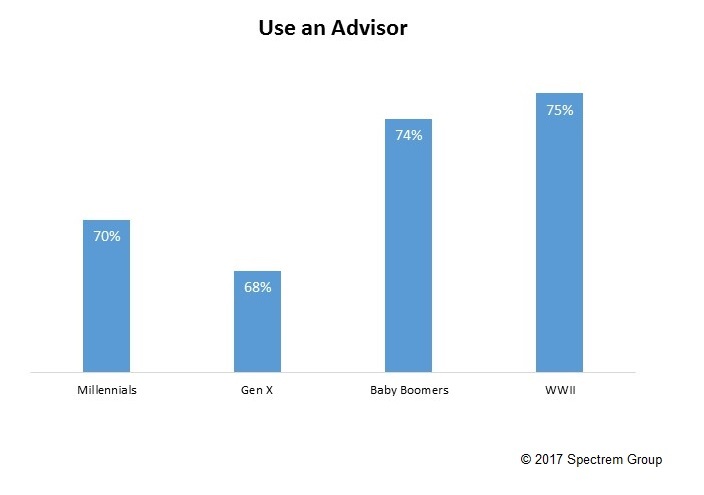 Only 19 percent consider themselves either Advisor-Assisted (with a predominant among of consultation with an advisor) or Advisor-Dependent (turning over virtually all investment decisions to an advisor). That is a much lower percentage than older generations of investors. However, 35 percent of Millennials who use an advisor do so because they are too busy to monitor their investments effectively alone, and that could be a signal to advisors on how to attract new Millennial clients. Because of their age and their probable work-related motivations, Millennials could have a significant number of stressors, among which investment decisions is low on the totem pole. But they want to see their investments grow, and offering to assist them in that effort could be effective at this stage of their lives. The study also points out that 22 percent of Millennials use their accountant as one of their advisors. An accountant is often the first financial professional an investor deals with, so an invitation from a full service broker or independent financial planner to provide more and greater services than an accountant offers could also prove effective. Another revealing point from the Millennials study is that while half of all investors find their advisor through referrals, 15 percent of Millennials asked their 401(k) provider for assistance in finding an advisor. That’s a large percentage of investors with anticipated future income and investable assets getting advice from a source that might not have been considered in years past. Again, a Millennial’s 401(k) provider is part of one of the first forays into investing for many Millennials, which could explain their use of that service to find an advisor. For better or for worse, Millennials are the growth generation for financial advisors. Whether they are not using an advisor at all or using one sparingly, both of those statuses are likely to change in the coming months or years as their investable assets grow through job advancement or inheritance. Finding a way to attract and relate to Millennials is the key to extending your client base and assure your own professional growth.